Today was quite and adventure for me. Another blogger, Lynn at Alamosa Quilter, introduced me to her mother - by email. Lynn's mother, Nancy, invited me to a quilt guild meeting in Birmingham (a little over an hour away from home.) 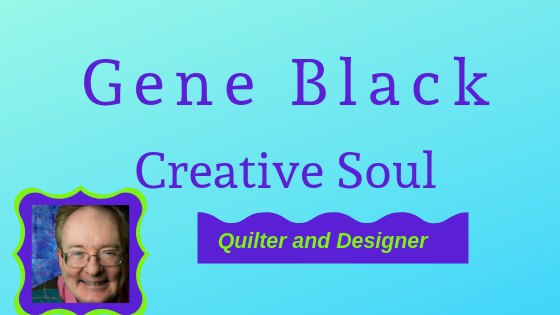 The big temptation for me was the planned program - A speaker, Irene Latham, whose subject "Stitching Our Stories: Bringing Gee's Bend Quilts to 21st Century Families" intrigued me. 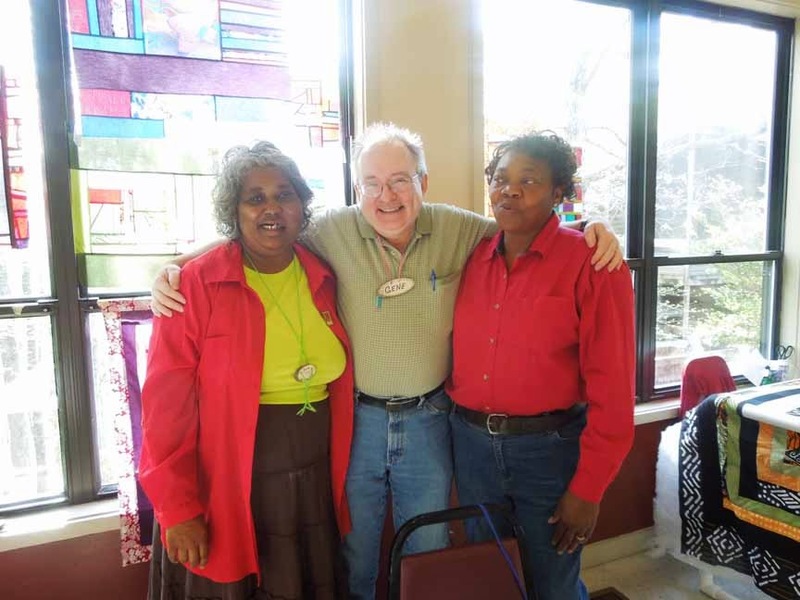 Some of you who are longtime readers will remember that in April of 2013, I took a workshop with a couple of the Gee's Bend Quilters. What a week that was! So of course I was very interested. Here is where my quick reading kicked in. I didn't fully read the flyer, I went on the title. I am so glad that I did. You see, Irene Latham is a fiction writer. She has won awards for two children's fiction books. That would have been fine. I happen to love children's books. But I was expecting a different type of program. As Irene talked about doing the research, meeting the quilters, and going to Gee's Bend - memories flooded my mind. She mentioned hearing the ladies sing. I confess that my eyes got quite wet and needed wiping. I remember hearing these two ladies, that I am so happily standing between, singing while we sewed. I remember singing along with them and sewing my heart out. As Irene spoke about the history and the fictionalized story that she wrote, I realized that I missed a great opportunity to ask these ladies about their personal histories. But, I did learn of the joy and love in their hearts and that is priceless. I also enjoyed the "show and tell" that is a part of most guild meetings. I took some pictures of quilts, but as I did not ask permission to post them, I will simply keep them for my own enjoyment. 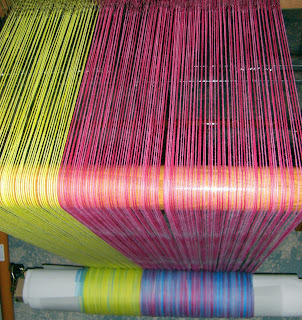 In other news - ha ha - the warp that I dyed back in July was put on my loom this past weekend. Since I like to try doing new things, I decided to split this warp and turn part of it the opposite direction. Good news! It worked out just fine. Here is the warp after dyeing - and while it was still wet, so the colors look darker than they really are. That "red" is really a pink now that it is dry. You can see that the left third is the yellow from one end. While the blue and pink are from the opposite end. 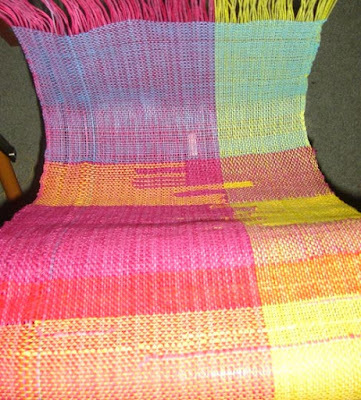 I am having a great time weaving this fabric. It looks like springtime is here already. 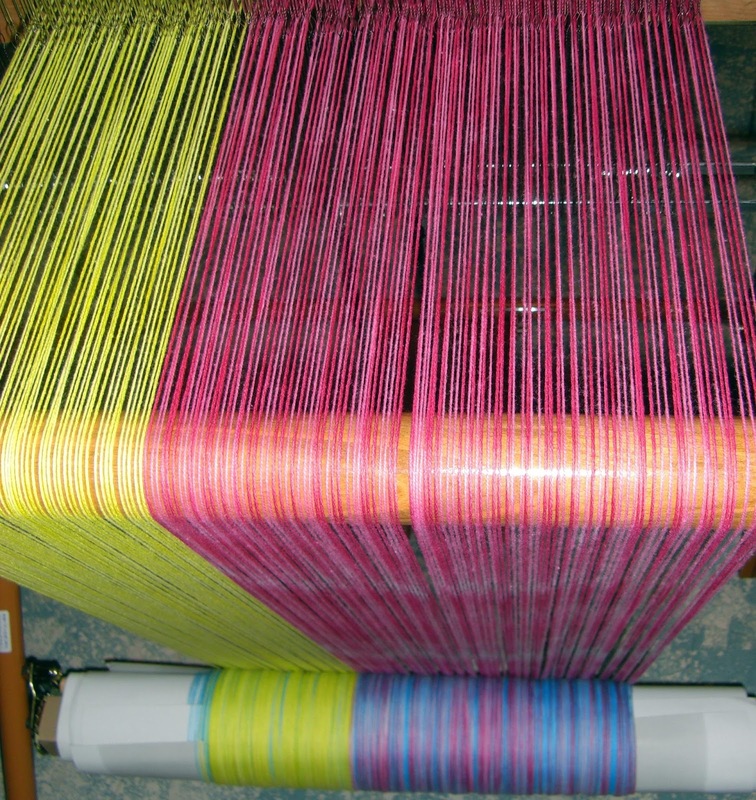 I love the way the warp and weft threads combine in color to create visual blends. I have no idea what this fabric will become- but it will be lovely even if I just hang it over a window. You have really mastered weaving! That piece is beautiful. Glad you had a good time at the meeting. 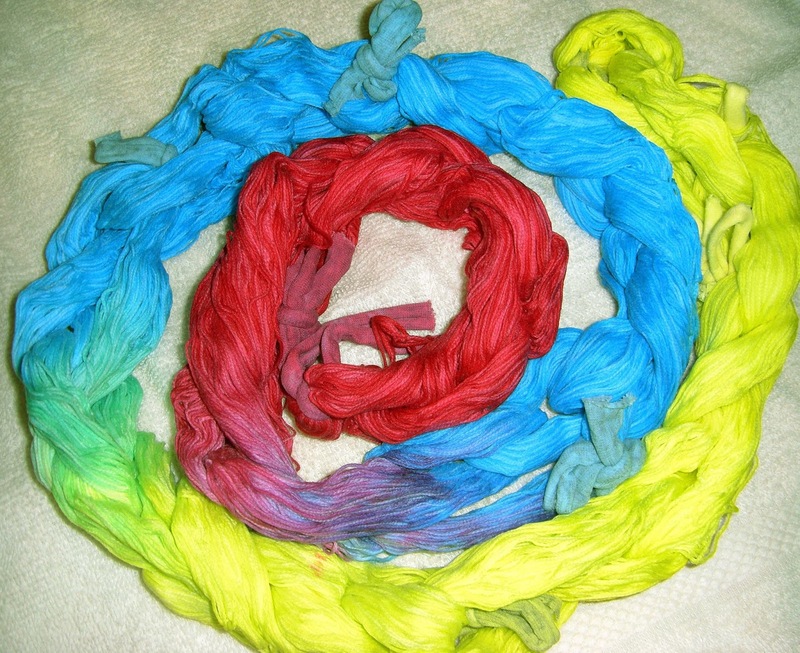 Your weaving looks fabulous! Love all the beautiful colors in your piece. Your weaving is beautiful! The colors are so clear and soft and the design is lovely. That scarf is making me drool! What a wonderful post. 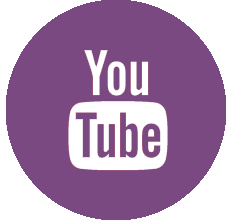 It's great to meet other bloggers in person, online or even by phone.